An editor has returned to a city he described as dear to his heart as he takes on responsibility his a second daily title. Perry Austin-Clarke has taken charge of The Press, York, under his newly created role of Newsquest (Yorkshire) group editor. 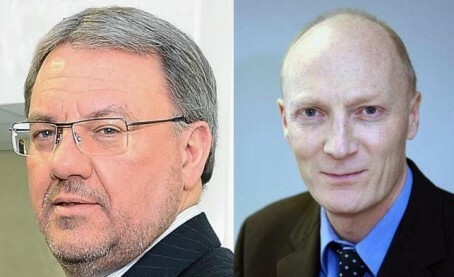 The 55-year-old, who already edits Bradford title the Telegraph & Argus, took up the position after Press managing editor Steve Hughes left the company earlier this month, following a decision to merge their roles by Newsquest. Perry currently also oversees operations at weekly titles the Craven Herald & Pioneer, Keighley News, Ilkley Gazette and the Wharfedale & Aireborough Observer. Brought up in Selby, around 15 miles away from York, Perry is also a former deputy editor of The Press and editor of its sister titles, the Gazette & Herald and the former York Star series. Said Perry: “I am genuinely pleased to be taking on this new, wider role and to be returning to York, where I spent an important and enjoyable part of my career working at both the old Coney Street premises and the former Walmgate offices. “I have long connections with York – being brought up in Selby, I spent much of my youth here – and it’s a city that’s dear to my heart. Steve had served as managing editor at The Press for the seven years at the time of his departure. Is he returning to the city – or is he splitting his time between Bradford and York? Either way this makes no sense whatsoever, despite the PR spin. Still it will save on an editor’s wage. Ah. Another group editor. Do they edit? Someone needed a good shave. Yes one more groupie editor. It takes 55an hour to travel from Bradford to York on a good day with the wind behind you. And I used to think an editor represented their readers in the community they served. Heavens help what used to be a worthwhile career in newspapers. What does this mean? A very poorly written sentence. Where have all the subs gone? “Genuinely pleased”. A refreshing change from “excited” and “delighted”, at least. He doesn’t look very well these days.